When will Riot Fest release the 2019 Lineup? I have no idea. When it’s ready? When we feel like it? Tomorrow? Next week? 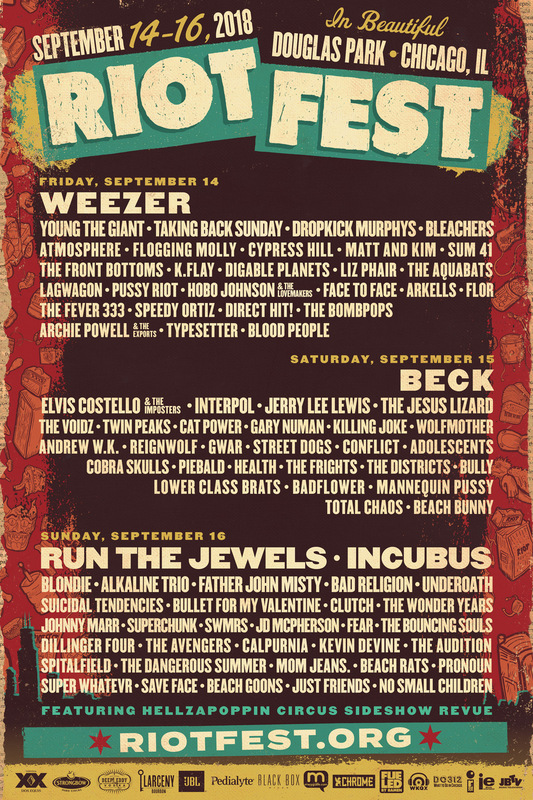 The Riot Fest lineup is never late, nor is it early, it arrives precisely when it means to. In the meantime, you can go ahead and buy your 2019 Riot Fest tickets right now. It’s our 15th Anniversary, so you know it’s going to be good. Probably. You can check out the 2018 lineup below.